Dr. Mike Okouchi grew up on the North Shore of O’ahu Hawaii in the small sugar mill town of Waialua. He attended college in Orgeon at Pacific University and was selected as one of the top research scholars in Biology. After college he attended Chiropractic school at Southern California University of Health Sciences where he graduated in the top 10 of his class. Dr. Mike is also a professional ‘ukulele recording artist. During Chiropractic school he released his first album. In 2004 he was honored as a Legend of the Ukulele. Currently, Dr. Mike owns Velocity Wellness Center which was selected as the #1 alternative medicine in southern california and he was featured on KCAL9 & KTLA5. He was also selected as one of the top 100 chiropractors in the US. At the age of 27 he was granted the title Fellow of the American Association of Integrative Medicine. His patients range from olympic gold medalists, elite figure skaters, champion triathletes, dancers & professional golfers to newborns, seniors and families. He is also a highly sought after speaker & trainer in the health industry. He has spoken to thousands on various health topics ranging from female hormonal balance, digestion & detoxification & rapid athletic injury recovery. I have known Dr. Mike for a long time and he has always been driven to achieve the highest level. He is an amazing asset to the body of health and wealness. I have no doubt that he will leave a legacy of greatness that we all will learn from. Dr. Mike continues to demonstrate to me that there is no end to learning. Doctor Mike Okouchi is one of the premiere doctors in his field. Always on the cutting edge, is passionate about what he does, and cares deeply for his patients! Dr Mike is a very caring doctor. He will answer your questions even outside of his office hours. Dr. Mike is an extremely high level thinker! His grasp of human physiology and function is impressive! He is effectively able to put that knowledge into action and explain things in a very effective and entertaining way! 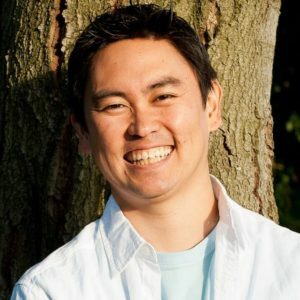 Dr Mike Okouchi is a dedicated practitioner of Health and Wellness Care. He is a student that never quits learning and a teacher that gives great insights and incredible techniques to his patients and Colleagues. 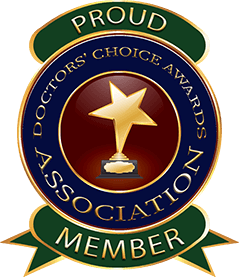 Dr. Mike is a very well educated, caring and compassionate doctor. He has a lot of knowledge that he uses to help his patients to the best of his ability. He is a great team player and a pleasure to work with. An all around awesome chiropractor! Dr. Mike is one of the most dedicated and driven Doctors of Chiropractic that I have ever known. His unquenchable thirst for more knowledge will forever place him in the forefront of our industry. 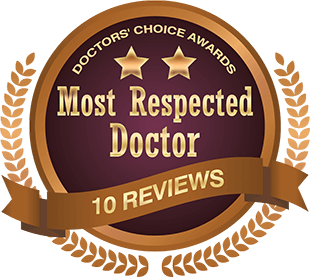 I can say with absolute certainty that if you go to see Dr. Mike you will be in great hands and will be given very happy your experience there. Go see Dr. Mike and experience all that Chiropractic has to offer. Mike is highly skilled in his field and provides exceptional services. He is the doctors’ doctor. 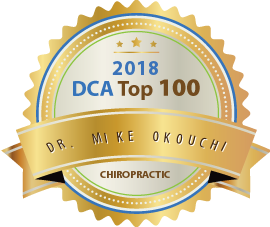 Dr Okochi is a brilliant chiropractor who is second to none in giving all his patients an extraordinary experience to reach their health potential. He has a wealth of knowledge about the nervous and muscular systems, movement, exercise, and nutrition. He enjoy learning and stay on top of new research and techniques in chiropractic. He is very passionate about his work and believe wholeheartedly in the practice of health and wellness. His dedication to educating people reflects his passion and commitment to help patients become, and stay, healthy and he feel pride at this sense of purpose. He strive to be better to improve patients’s overall Wellness and Heath. 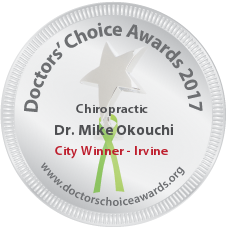 Dr Mike Okouchi is one of the most knowledgeable, friendly, and giving people that i’ve ever met. He is up to date with current research and is readily able to give suggestions on anything and everything when it comes to holistic medicine. He is freely giving of his time and energy via his podcasts, question and answer sessions, and other outlets that he doesn’t profit from. He truly cares about people and their health even if they’re not his paying customers. It shows his true character as a doctor and a human being. I’ve been a doctor for twenty years and I still feel like I walk away from interacting with Dr. Mike having learned something new. He is truly a gift to the profession and I’m proud to call him my friend.